We download the Aureola conkies from github. We choose to incorporate the Lazuli conky into ArcoLinux. 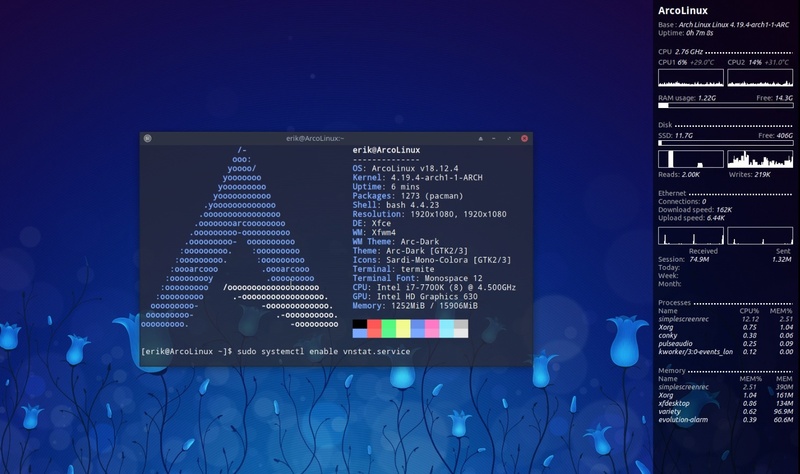 What steps did I undertake to incorporate this particular conky into ArcoLinux? We download the Aureola conky and extract it. We analyze the content and see that we do not need the fonts – they are already installed. We rename the conky to AUR-Lazuli.conkyrc. 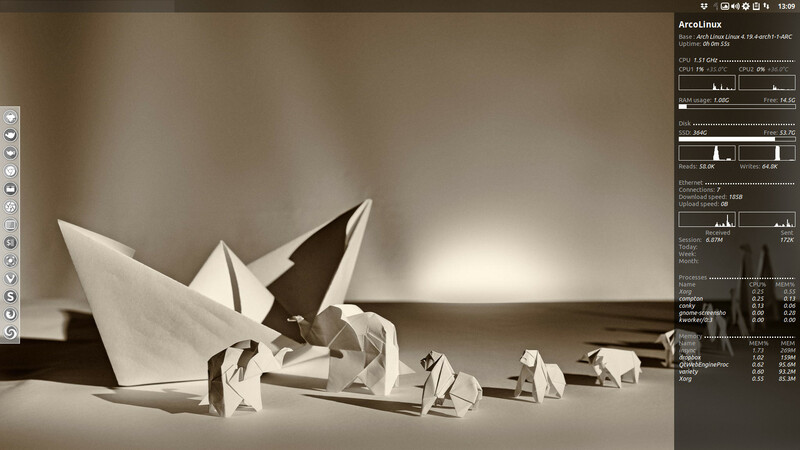 We change the header content of the conky. Then we start reading the config of the conky. We delete the first line. There is NO NETWORK TRAFFIC in the conky. When you type ifconfig in your terminal you will know the name of your network card. Change the name enp0s31f6 into the network card name you find in ifconfig. Use CTR + F and replace all. We delete code for dropbox and spotify. We see vnstat in the code of the conky. It is standard installed on ArcoLinux. 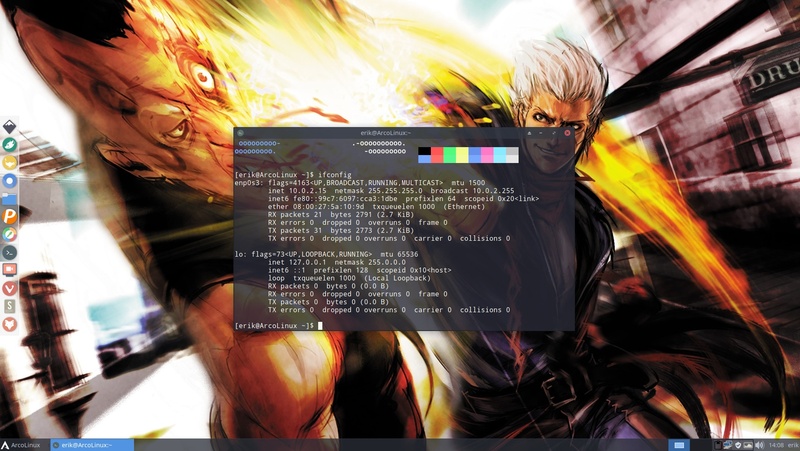 We change the colors of the conky : bars and titles. We analyze in the video that the package vnstat is already installed. We only need to activate it. Type this command and take the network card that has an actual ip address. In the picture that is enp0s3. The ip address is 10.0.2.15.